In the past, Edward A. Trawinski Jr. served as a Partner at Pojanowski & Trawinski for fifteen years specializing in commercial, land use, real estate taxation and municipal law representing clients throughout the State of New Jersey. 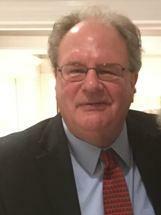 In prior years, Edward A. Trawinski Jr. has served as Planning Board Attorney for the Boroughs of Dumont and Sussex as well as Community Development Attorney for the City of Passaic. Edward A. Trawinski, Jr. is admitted to the New Jersey State and Federal Bars.